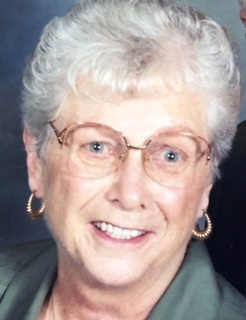 Margaret Ann Stacey Beckingham peacefully passed away Sunday, February 10, 2019. Margaret “Peggy” had three children: Robert Jeffery Beckingham, Glenn Alan Beckingham and Apryl Beckingham Prince. She was blessed with four grandchildren: Quinten Travis Beckingham, Maxwell Alton Prince, Kathryn Ann Beckingham and Thomas Ray Lloyd Beckingham. She was married to Robert Alton Beckingham since October 5,1957. They raised their three children in New Jersey then moved to Kansas in 1976. From 1987-1988 she lived in Spain with her husband until moving back to Kansas. Peggy was a compassionate, generous, and warm-hearted woman who built a family based on love, faith, and gratitude. Peggy was a dependable and loving woman who always showed up for family and friends in times of need. Peggy joins her beloved husband Robert Alton Beckingham, her mother Beatrice Alberta Chenoweth, her father Roy T. Stacey, her sister June Stacey Clark and her sons Robert Jeffery Beckingham and Glenn Alan Beckingham in Heaven. Friends and family are invited to grieve, reminisce and celebrate the life of Margaret Ann Stacey Beckingham at Rolling Hills Presbyterian Church, 9300 Nall Ave., Overland Park, KS 66207 on Friday, February 22, 2019 at 2:00 p.m.